Exclaimer has over 75 million users worldwide and 15+ years of experience providing and supporting Microsoft Exchange, Outlook, Office 365 and G Suite email solutions. We are a Microsoft Gold Partner and a Google Cloud Technology Partner, and have successfully achieved the ISO 27001:2013 Certification for Information Security Management. In addition, we are a CompTIA Corporate Member and an International Association of Microsoft Channel Partners (IAMCP) member. Exclaimer products have won multiple accolades from industry publications and user forums alike. Our solutions are regularly recommended by Microsoft MVPs (Most Valuable Professionals) and have a strong reputation within the Microsoft community. 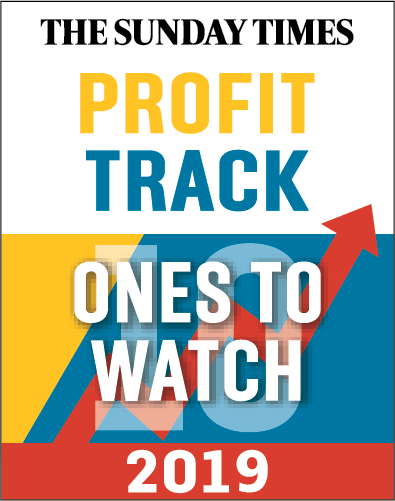 Exclaimer was featured as one of ten “Ones to Watch” in the 20th annual Sunday Times BDO Profit Track 100. The Profit Track 100 league table ranks Britain’s private companies with the fastest-growing operating profits. 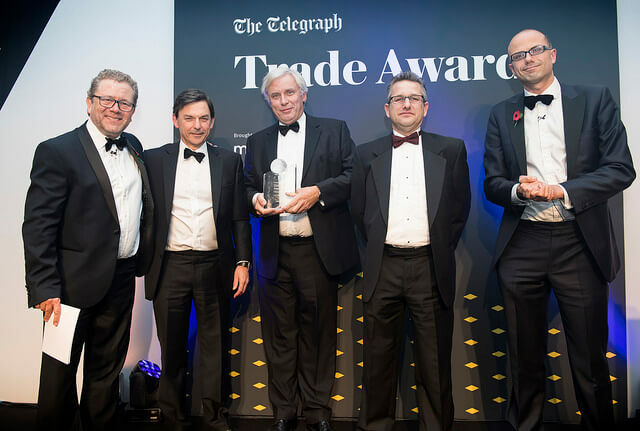 Exclaimer won the Best International Export SME 2018 at the Telegraph Trade Awards, an accolade from one of the UK's leading newspapers. Exclaimer was named as a finalist for the International Business of the Year Award in the Inspire 2018 Business Awards, sponsored by Fluor. Exclaimer made the shortlist for Cloud Services Vendor of the Year and Emerging Vendor of the Year at the CRN Channel Awards 2018. Exclaimer became a Google Cloud G Suite Technology Partner after launching our Exclaimer Cloud - Signatures for G Suite solution. The Technology Track is for partners who create products that complement, enhance, or extend the reach or functionality of Google Cloud products. 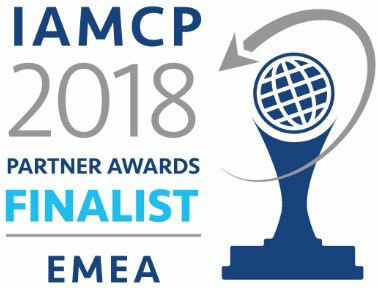 Exclaimer was once again named as a Finalist by the International Association of Microsoft Channel Partners (IAMCP), but this time in the 2018 IAMCP Partner-to-Partner Awards. This was in EMEA and Worldwide. 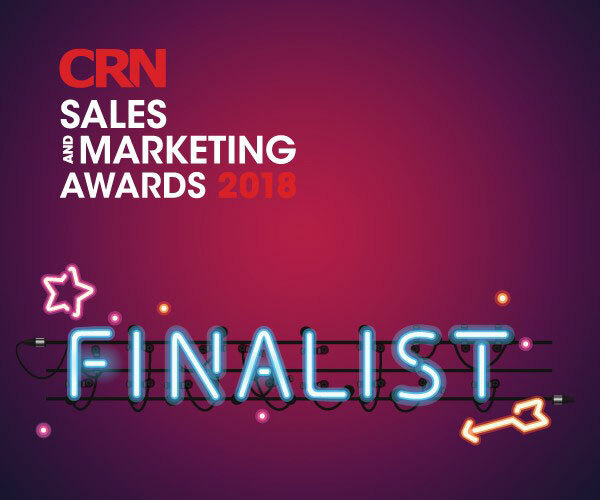 Exclaimer was shortlisted as a Finalist in the Technology Innovation Award and Best Partner Programme categories at the CRN Sales and Marketing Awards 2018. This was in recognition of Exclaimer’s Office 365 and G Suite solutions, as well as recognizing the quality of its channel partner program, the Exclaimer Partner Network. 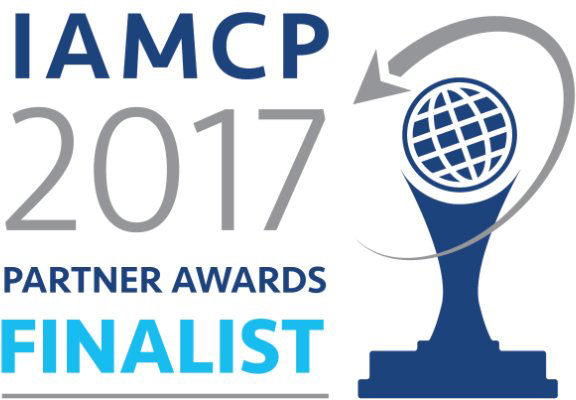 Exclaimer was named as a Finalist by the International Association of Microsoft Channel Partners (IAMCP) in the 2017 IAMCP Global Partner-to-Partner Awards Program. 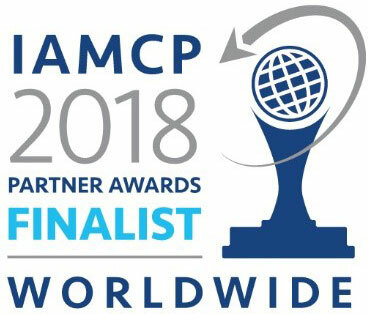 The award recognizes the top partners in the IAMCP global community for achieving excellence in partner-to-partner (P2P) solutions that drive customer value. Exclaimer made the Sunday Times Lloyds SME Export Track 100 for the first time in 2017. The 3rd annual Sunday Times Lloyds SME Export Track 100 league table ranks Britain’s small and medium-sized (SME) companies with the fastest-growing international sales. Exclaimer is a Microsoft Gold ISV Partner and a Microsoft Gold Application Development Partner. These accreditations showcase our technical expertise in developing award-winning software and solutions for Office 365, Microsoft Exchange and Outlook. Exclaimer Mail Archiver was named as 2nd Runner-Up in the WindowsNetworking.com Readers' Choice Awards in the category of Email Archiving Software. Exclaimer Email Alias Manager for Exchange was chosen ‘First Runner-Up’ in the Exchange Administration category of the MSExchange.org Readers’ Choice Awards. Exclaimer became a Crown Commercial Service Supplier in August 2016 as part of the latest iteration of the G-Cloud Framework, G-Cloud 8. This meant that Exclaimer Cloud - Signatures for Office 365 could be offered to all UK public sector bodies through the Digital Marketplace online store. 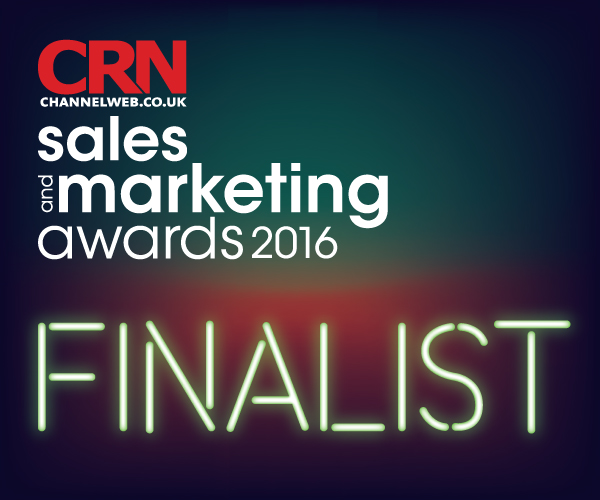 Exclaimer was selected as a Finalist in the Technology Innovation Award category at the CRN Sales and Marketing Awards 2016. This was in recognition of our cloud-based email signature management service, Exclaimer Cloud - Signatures for Office 365 and the benefits it provides organizations using Office 365. Exclaimer Mail Archiver was voted ‘First Runner-Up’ in the Email Archiving Category - the second Readers’ Choice Award received within the first year of its launch after taking First Runner-Up on WindowsNetworking.com. 2016 was the sixth occasion that Exclaimer Signature Manager Outlook Edition was selected the winner in the Outlook Addon Category of the MSExchange.org Readers' Choice Awards. The Queen’s Award for Enterprise is the UK’s highest accolade for business success with winners selected by the Prime Minister’s office and approved by H.M. the Queen. This was awarded to Exclaimer in April 2016 for substantial year-on-year growth in overseas sales over 6 years. Exclaimer Cloud was formally awarded the ISO 27001:2013 Certification by Alcumus ISOQAR and the United Kingdom Accreditation Service (UKAS) in February 2016. This involved extensive 3rd party auditing and a dedicated review of the cloud systems we have in place. Exclaimer Signature Manager Outlook Edition was crowned the 'Best Exchange OWA Addon' in May 2015 and 'Best Outlook Addon' in February 2015 in the MSExchange.org Readers' Choice Awards. Exclaimer Mail Archiver was voted ‘First Runner-Up’ in the Exchange Archiving category - against stiff competition from Metalogix and Symmantec. The Inspire Business Awards celebrate the success of local businesses in north Hampshire, UK. Exclaimer was announced as runner up in the International Business of the Year category. 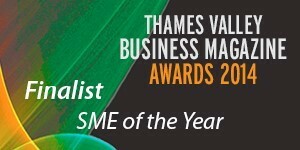 Exclaimer was proudly chosen as a finalist in the Thames Valley Business Magazine Awards 2014 in the category 'SME of the Year'. This was in recognition of our rapid growth, innovative products, contribution to the industry and dedication to CSR. Exclaimer Signature Manager Outlook Edition won two MSExchange.org Readers' Choice Awards in 2014 - one for 'Best Outlook Addon' and one for 'Best Exchange OWA Addon'. In the 'Exchange Archiving' category of the MSExchange.org Readers' Choice Awards, Exclaimer Mail Archiver was selected as the 'First Runner-Up'. MSExchange.org gave Exclaimer Email Alias for Exchange a 4-star rating, it's highest achievement. Steve Goodman, Microsoft Exchange MVP, said it “solved an age old problem” and “the functionality feels like it should have always been a part of Outlook”. MSExchange.org visitors voted for Exclaimer Signature Manager Outlook Edition as the 'Best Outlook Addon' in the MSExchange.org Readers' Choice Awards in 2013. Exclaimer Mail Archiver was voted ‘First Runner-Up’ in the Exchange Archiving category - the second Readers’ Choice Award received within the first year of its launch after taking 'First Runner-Up' on WindowsNetworking.com. Exclaimer Mail Archiver was announced as the 'First Runner-Up' in the Email Archiving Software category of the WindowsNetworking.com Readers' Choice Awards. Coming soon after its launch, Exclaimer Signature Manager Exchange Edition was the second email signature software solution by Exclaimer to be Microsoft Certified for Windows Server 2012. The Editor's Choice Award is selected by a panel of industry pundits and journalists who see a large number of products throughout the year. They selected Exclaimer Mail Disclaimers for its utility and ease of use. Jason Bovberg, Best of TechEd judge and Windows IT Pro editor, called Exclaimer Mail Disclaimers 'a real time saver' and said it 'solved a problem faced by many administrators'. Exclaimer Outlook Photos, a free product for importing photos into the Active Directory, won the MSExchange.org Readers' Choice Award for 'Best Outlook Addon' the first year it was nominated. Exclaimer Email Alias Manager for Exchange is the only software of its kind to pass Microsoft's rigorous tests and achieve a Microsoft Certified for Windows Server status. Exclaimer Mail Disclaimers was the first email signature software to achieve a Microsoft Certified for Windows Server status. Exclaimer Signature Manager Outlook Edition was again announced as the winner of the 'Outlook Addon' category of the MSExchange.org Readers' Choice Awards. Exclaimer Auto Responder won the MSExchange.org Readers’ Choice Award for ‘Best Exchange Administration Tool’, making it the second Exclaimer product in a 12-month period to win an MSExchange.org award. 2010 was the first year that Exclaimer Signature Manager Outlook Edition won the MSExchange.org Readers' Choice Award for 'Best Outlook Addon'. Exclaimer Auto Responder was given a ‘four-diamond’ rating by Windows IT Pro reviewer Nathan Winters, who called it a ‘well thought out’ product.